How can you make my wireless more secure? Wireless networking in the home is very popular because of one big instant advantage – No wires. We can help by ensuring your wireless home network is set up to give you the maximum level or safety and security on your broadband connection. Configure the networking on your wireless access point or router. This may includes Laptops, Printers, Scanners, etc. Encryption Level – setting a much higher level of encryption to reduce the chances of attack. Router Password – we shall ceck the default password on your wireless devices to ensure that the wireless password cannot be obtained. MAC Level access – a MAC code is the unique ID of each wireless device printer, mobile or computer and we configured only allowed device to use the wireless network. 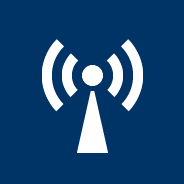 Change the SSID – we change the default SSID (Service Set Identifier) on your wireless network. Hide the SSID – by hiding the SSID, it makes it harder to attack you network. Disable unused security – if you do not require certain levels of security then we disable it completely. All of these changes greatly reduce your chances of being compromised. By setting your wireless devices to the least used channel you can increase the performance of your wireless network.